After the Mercedes-Benz Bremen factory, we drove down about 6 hours (Fun! Intense! Autobahn adventures!) to Stuttgart ~ and getting in around midnight, we promptly settled in to Der Zauberlehrling, a cute little design hotel, with only a few hours to work, clean up, sleep ~ and hop back on the road by morning! Nestled in the Sunrise room, you can get a peek at the unique space! The patio made me wish i colud have stayed longer to relax a bit! See it all on the next page. On amazing little journeys ~ we started at the dock/house/helipad area on the water where we originally met the group of Mercedes-AMG SLS Roadsters… and our bags were waiting for us to head to the airport… via helicopter! So i have some video of the quick flight along the Cote du Azur as well as the landing (i felt like i was in a toy as we came in to land, it’s fun riding shotgun!) 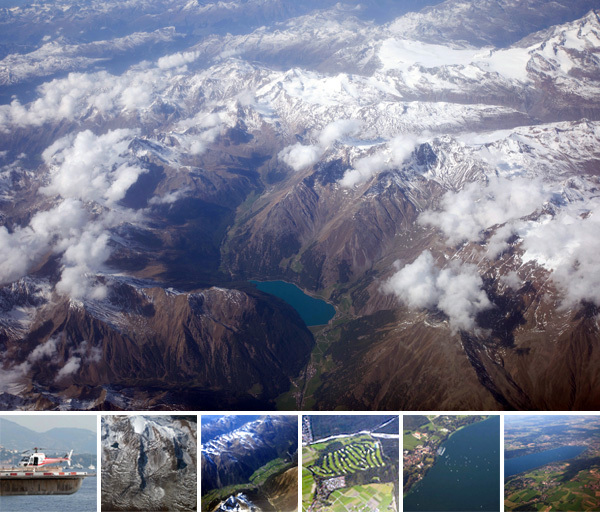 Then on to a quick Nice to Munich flight… over the alps, which are always stunning. The shadows. The way the snowy mountain tips peek through the fluffy clouds. The melting snow into lakes. The tiny green towns tucked between it all… and before landing there were amazing amounts of teeny tiny sail boats below out in a lake! Take a peek at all of it on the next page! Our London-based editor Justine catches up with the latest action from the London Design Festival! 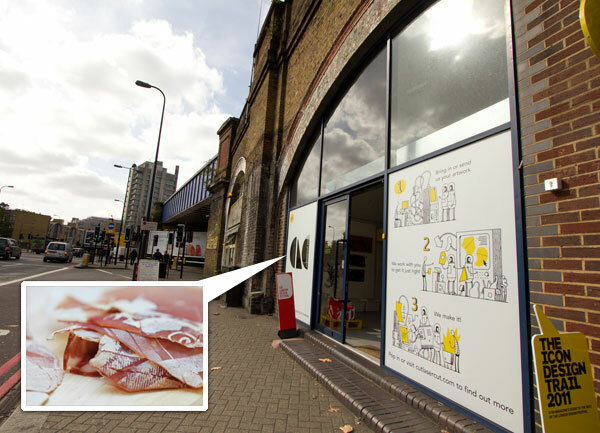 Another fun discovery of this year’s London Design Festival was Vauxhall area laser cutting shop and studio Cut Laser Cut, who work with a wide range of clients and with many unexpected materials, creating laser masterpieces of all sorts and cutting and engraving materials from fabrics to foods! For this year’s design festival, Cut Laser Cut shared some selections from their client showcase. More photos of some of impressive laser creations and their shop/studio on the next page! 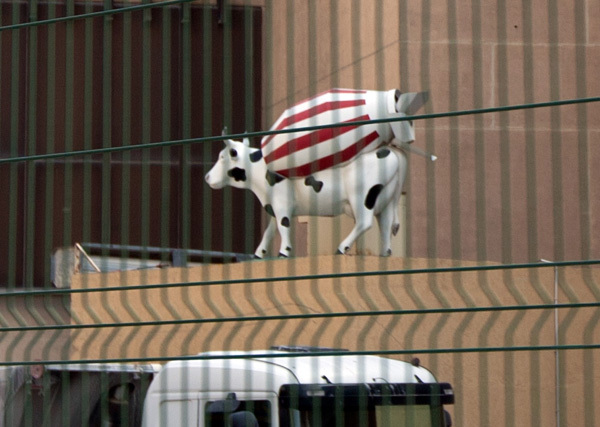 While Nalden and I were cruising to the Monaco helipad to catch our ride back to Nice airport this morning, there was a loop of an intersection that confused me far too much, and this bizarre concrete truck/cow thing on a building nearby… so, luckily the quick snapshots came out so i can show you what i’m talking about! I only found two other pics online. Any one know what the story is? 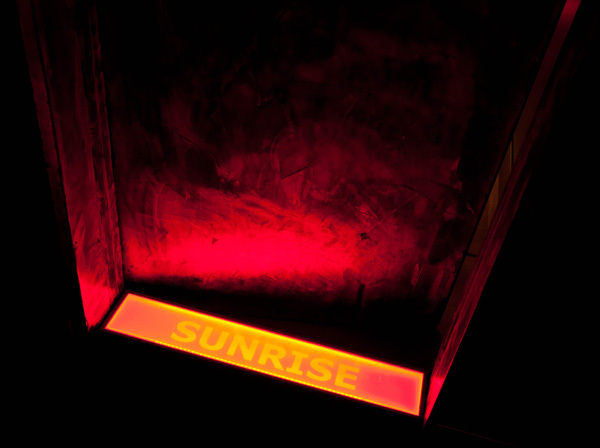 Another unexpected discovery of the festival, was the work of Christopher Jarratt. Some of you may remember Christopher Jarratt’s previous slingshots from NOTCOT.org, but to see them in person and what can be done with these elegant pieces is something different altogether. 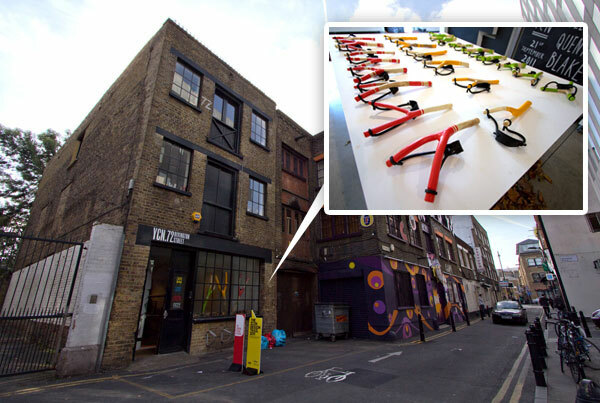 Jarratt’s ‘Take a Shot’ exhibition at the YCN shop and library on Rivington Street is filled with these beautiful, colorful and playful slingshots. The slingshots are both works of art in their own right as well as a means of making art. See the next page for more photos of the slingshots and photos of them in action! Wow. The Mercedes-AMG SLS and SLS Roadster have internet browsing built in… and turn into WLAN hotspots… and runs Android… and someday you can even have apps… since it’s on android does that mean we can write our own? 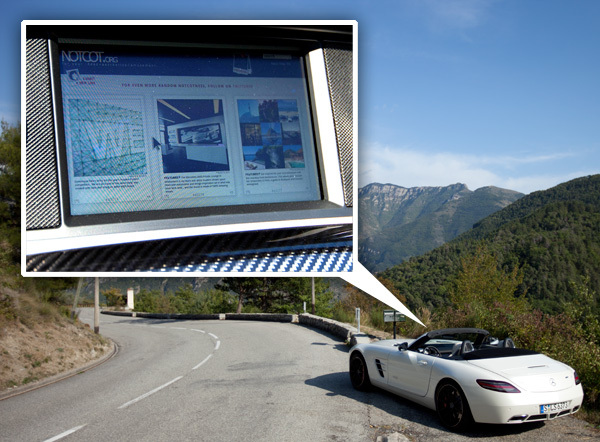 I’ve never seen NOTCOT flanked in carbon fiber… or navigated to on an in car dashboard after we just hopped across the french/italian border and ended up on the top of some hilly lush greenery… granted, they don’t allow you to browse the internet while driving (so i guess no posting while racing around in the Mercedes-AMG SLS Roadster!) ~ this is only one of a series of fascinating options in the “AMG Performance Media” section. But on the internet related side first ~ “AMG Performance Media provides fully-fledged, mobile high-speed internet access: when the car is stationary, the driver and passenger are able to surf the web and install apps.” YES. Your car is a smartphone. Running on Android. You can even scroll through the websites with the usual COMAND Controller (the big dial). This all even turns into a WLAN hotspot! (Which passengers CAN access with their phones, laptops, etc while you’re driving.) Amazing, right? I want my car to come to life with internet! Oh, and in addition, you can also enter Race Mode, have dials showing engine outputs and torque in real time, output your stats to USB, record lap times, and more… It’s 3am sleep time before playing with it all a bit more tomorrow before ending up in Munich, so see some screenshots as well as full details on the next page! We joked about Nail Polish Colors to match cars when i was playing with the Louboutins on the Mars Red C63… then i found the Mercedes Designo Zircon Red SLK inspired polish… well at AMG yesterday, they gave me a bottle of Le Mans Red SLS inspired nail polish… so at the AMG SLS Roadster drive in Nice/Monaco today, i couldn’t help trying it out to see just how “inspired” the nail color was from the car also in Le Mans Red… the conclusion (well you can judge for yourself on the next page as well) is that it needs a bit more metallic in it to be fully awesome… but it is still quite the bright red! Yesterday was a preview filled day with so much inspiring design and beautiful exhibition spaces! 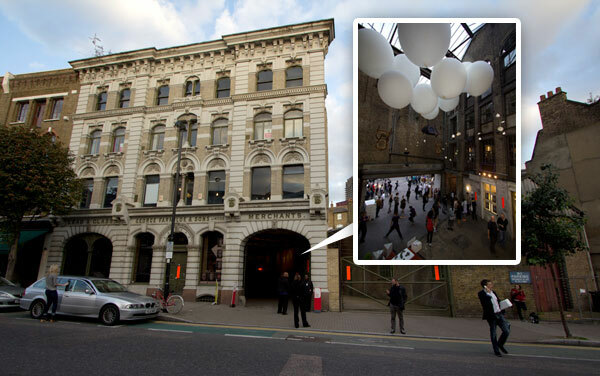 One of the most exciting press previews was that of Designersblock at the Farmiloe Building (which we also visited recently during Clerkenwell Design Week). The press preview was full of unexpected touches, including elaborate and bizarre costumes and interpretive performances and the stunning Victorian building again played host to some stunning products and installations. More photos on the next page! I tweeted yesterday that i was in Black & White heaven with AMG in Affalterbach, Germany. Have you ever just walked into a space and felt ~ just right in it? The black an white, the beautifully versatile lighting, and so many iconic designer furniture pieces put together so nicely ~ while pulling together car accoutrements, the ducati from transformers, a wall of design inspiration books and toys, and the focal point being a stunning mural made by the AMG designers out of TAPE. You’d barely realize it is layer upon layer of sketches on velum with tape until you get extremely close to it (and check out the making of pics as well). This new lounge only opened a few months ago in early summer 2011 ~ and apparently “The new AMG Private Lounge in Affalterbach is an exclusively and unusually designed meeting-point in which to spend time. We see it as a second living-room for our customers. 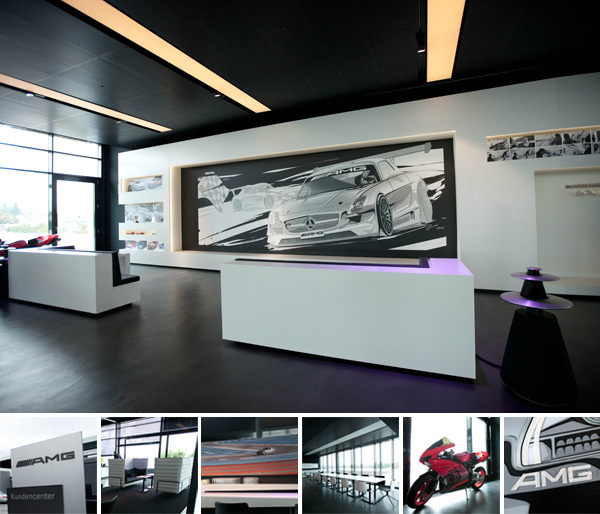 We want the AMG Private Lounge in Affalterbach to provide the perfect setting for the most exciting day of the year - for example when our customers take possession of their new AMG-Mercedes here in Affalterbach,” said Ola Kallenius, Chairman of Mercedes-AMG GmbH. So, while my car is apparently on a boat headed to LA already, it was still magical to wander into the world of AMG and see where these clean modern designs met the heart of the racing company in what was once a farm house and corn fields. More to come on the engines and factory and the world of AMG, but first, take a peek at the new lounge design and the surprising mural! 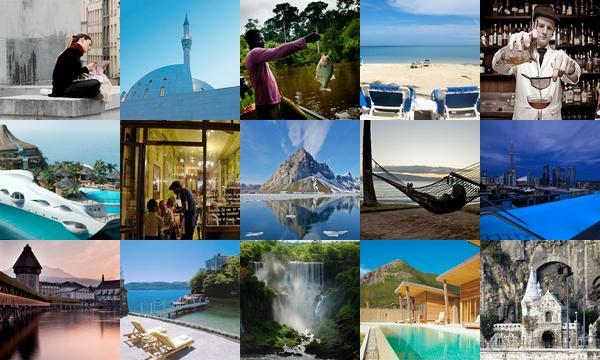 Get inspired for your next adventure with this roundup from NotVentures. This week’s picks include hot restaurants in Paris, a guide to Budapest and Istanbul reimagined. To find out more about each post, click on its individual image. So many fun things to share with you from the last few days, but so sleepy this 1am and currently in the Côte d’Azur… so, silly things first. 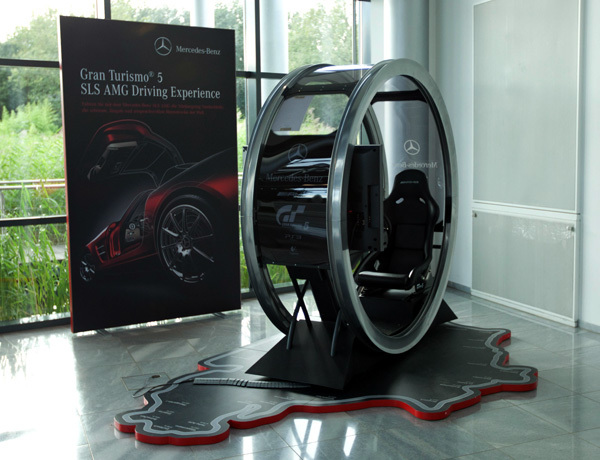 While visiting the Mercedes-Benz factory in Bremen, i couldn’t help but admire their Gran Turismo 5 + PS3 + Logitech circle of racing fun set up in the lobby. The design details of the racing pod are great ~ but even better is the Nürburgring mat it sits on, complete with each twist and turn labeled. The PS3 mount even resembles an engine! See all of the details on the next page! 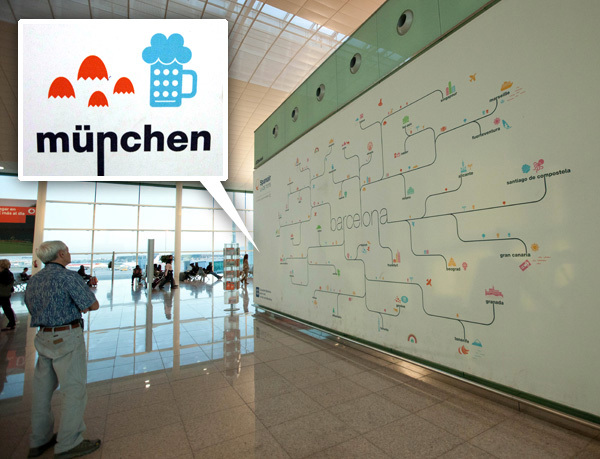 Flew Spanair for the first time ~ noticed a fun graphic ad in their inflight magazine… and found it HUGE when i landed in Barcelona. The icons on it for each city they fly to were so cute i couldn’t help taking pics! See the details on the next page! As painful as waking up at 4am was to grab a 5am cab to catch a 7am flight out of Mallorca earlier than planned (but for good reason! Off to german adventures to see siblings of my car being made and meet the guy who built my engine! 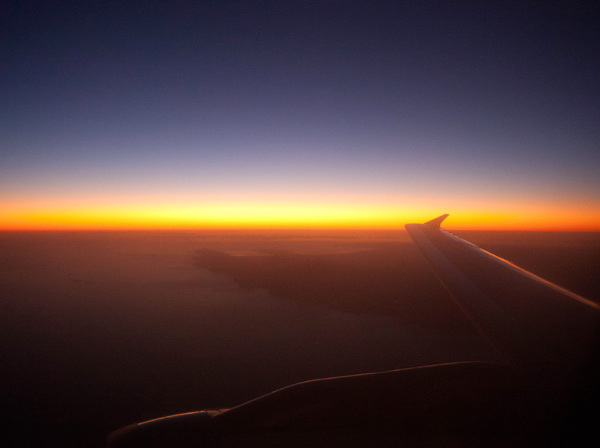 but more on that later) ~ the sunrise was gorgeous out the airplane window from Mallorca to Barcelona… take a peek on the next page! 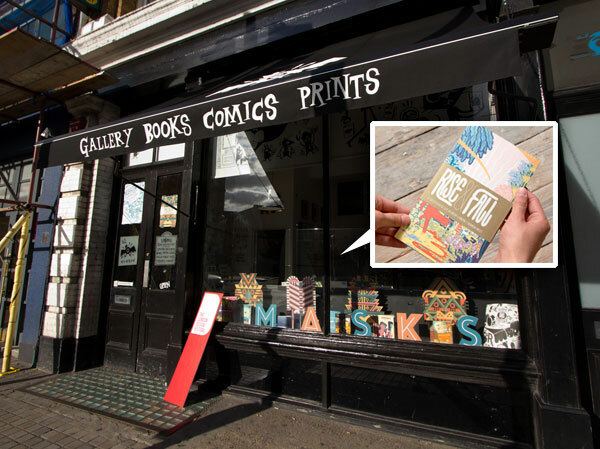 By sheer luck and an unreliable sense of direction, I discovered Nobrow on Great Eastern Street, in East London. What a gem! Nobrow is part shop, part studio and part gallery. The folks at Nobrow run both a small press of beautifully tactile illustrated books as well as a screenprinting studio. Here’s a look inside the gorgeous shop, a peek at a few of their lovely books, and look at the Masks exhibition by Ben Newman!